My taste plus your engineering made something really great. Cole’s designs for this app are amazing. It’s definitely the most beautiful app I’ve worked on. 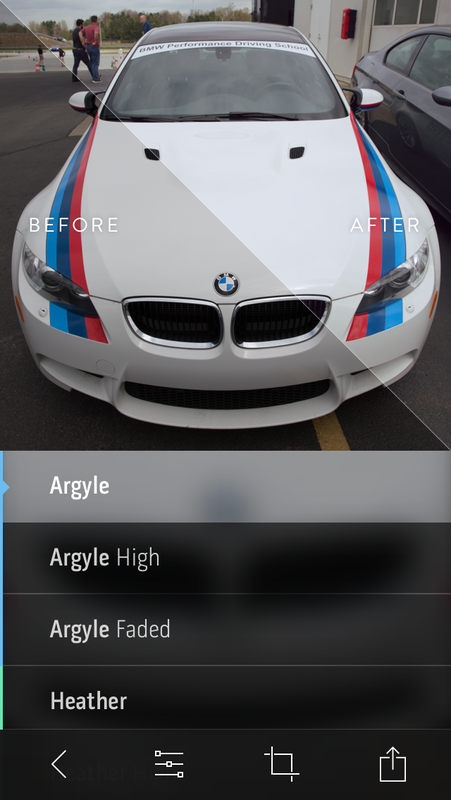 We spent a lot of time polishing the design for every detail of the app together. It was a blast implementing all of the nuance of it. Having the ability to propose ideas or just run with something to see how it turned out made this a really enjoyable project to work on. That’s the key to my enjoyment of freelance work. Having the sense of some ownership of the end product’s direction is a great feeling. Everywhere an image appears (with the exception of the grid because that would be overwhelming) it parallaxes if it doesn’t fit on screen. My favorite way to try this out is loading up a panorama and heading over to adjustments. I didn’t use the built-in motion effects to make this. I rolled my own so everything would be silky smooth. This is a really great example of Cole’s amazing taste in color and some clever engineering. All of the adjustments aren’t simply what they say. They’re smart. For example, exposure is a smart exposure. If you did a plain exposure adjust, it starts to look bad as you get too high or too low. 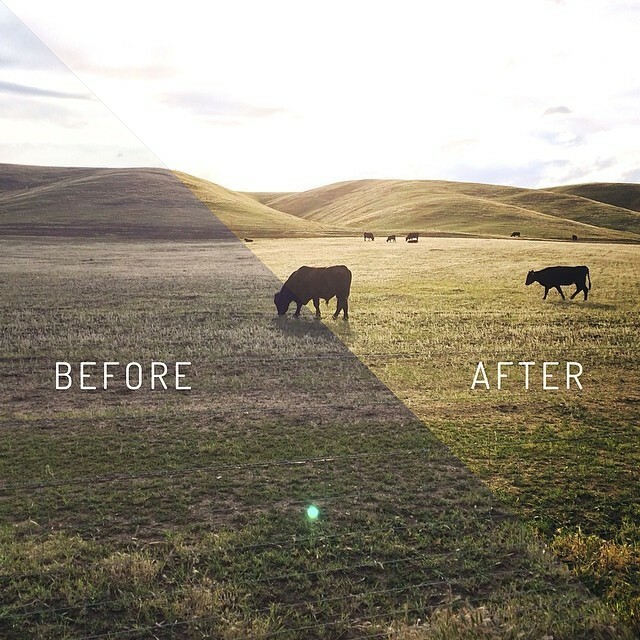 We do a bunch of clever things to make sure your photo stays looking great all the time. Same for the rest of them. Vignette is my favorite. There’s some really neat magic at work. I implemented this all using layer animations and masks. It’s probably my new favorite thing in iOS development. It’s been there since the beginning, but I’ve found a bunch of really great uses for masks lately. I use masks a bunch of other places throughout the app. There’s a bunch of other neat stuff in the app like a file format I made specifically for storing Litely colors, all non-destructive editing, tons of custom transitions, and some clever localization techniques. I hope you enjoy the magic. I used a bunch of open source stuff in the app. Here’s the Podfile if you’re curious. All of them are stuff I’ve written except for CMDAwesomeButton and SVProgressHUD. Thanks Caleb and Sam! This was a really fun app to work on. We both have a lot we want to add to it. I’m excited to see what happens with it. It was really great working with such a great designer as a client. I really hope you like the app. Checkout Litely in the App Store and let me know what you think on Twitter! Also give the exclusive Engadget story a look if you want to hear a little from Cole about the app. Also, in these last 5 months, I've also spent a ton of time on a few other projects. Hoping to announce more on those soonish. Special thanks to Caleb for helping me with some nuts math to make the crop stuff work. Recently, my friend, Brian Minor, pointed out that only iTunes Connect and iAd Gallery are the only two Apple iPhone apps that haven’t been updated to iOS 7 yet. Sure, we complain about Apple developer tools all the time. Let’s take a closer look. Compared to the Android tools, Xcode is fantastic. I plan on doing a more in-depth comparison on Android & iOS soonish. Anyway, if you look at any of the other tools, Xcode is fantastic. It’s pretty, generally works well, and is overall a joy to use. Imagine if we had to do all of this with Makefiles and Terminal. iTunes Connect let’s you publish to the store. You can upload your app right from Xcode. We have team management in the developer portal. We can make certs whenever we want. There’s a lot there.